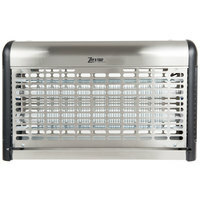 All of our insect zappers are equipped with front-facing cages around the electrical element to ensure customers or employees are safe at all times. In addition, an empty bottom area collects pests as they're killed to keep the area around the zappers sanitary throughout the day. Depending on your needs, you can also pick up bug zappers that effectively cover hundreds or even thousands of square feet, keeping your patio, deck, or porch clear of bugs. 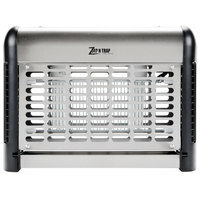 Also make sure to check out other great items from Zap N Trap and J T Eaton & Co.
Our collection of insect zappers includes products manufactured by some of the most well-known vendors so you can buy from brands you trust. 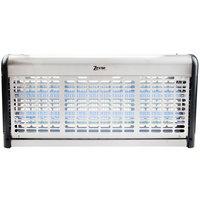 You can discreetly and conveniently place your bug zapper virtually anywhere in your business, including outdoor areas like patios and decks, to make sure your customers aren't bothered by insects. 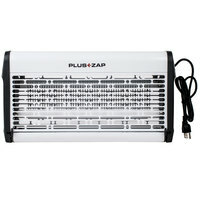 All of our bug zappers are also easy to empty and clean so you can effortlessly care for your equipment. 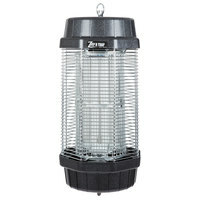 For additional products to go with your commercial bug zapper, check out our rodent control products, crawling insect control products, and bug zapper accessories. 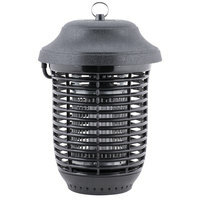 If you're wondering where to buy insect zappers, we have a large selection of insect zappers for sale at the lowest prices.